Many of Brazil’s cultural symbols can be found on Rio’s beach – the string bikini, colourful flip-flops, and beautiful people – and it represents an important part of the carefree, playful lifestyle. 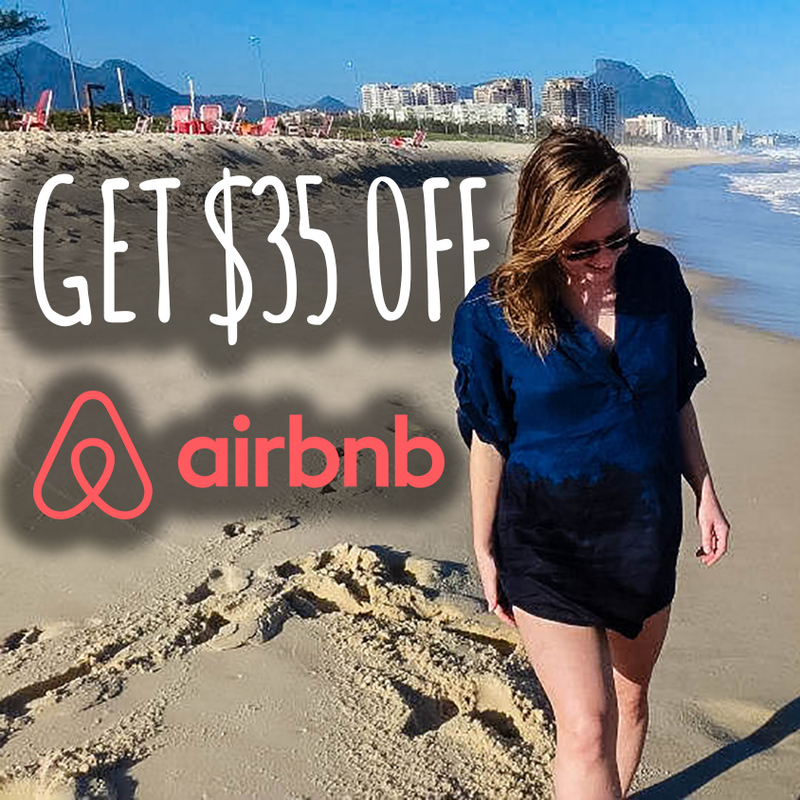 The more mainstream beaches such as Copacabana and Ipanema have long been on the travellers bucket lists, yet Rio still has lesser-known tropical beaches that await the intrepid explorer. Here are some of the city’s off-the-beaten-track beaches that will show you a different side of Rio. Before you go there, make sure you pack your bag with all the necessary beach essentials so you can really get the most out of your perfect beach day. Still untouched by any kind of human development, Prainha is a little paradisiacal retreat to the west of the Rio de Janeiro city. The crescent of white sand is popular among small groups of friends or families looking for a peaceful escape. One of my favourite things about this beach is that doesn’t get crowded like the busy, bustling beaches of Copacabana and Ipanema. It’s perfect to sit back, relax and chat with a few friends or simply contemplate the beautiful scenery. Its big, powerful waves may mean it’s not the best spot for swimming, but it does make it the most popular beach in Rio for surfing. I haven’t mastered the art of surfing yet, but Prainha is still a great place to watch the pros and enjoy the surfer-chic vibe there. If you’re feeling hungry, then head to Mirante Prainha bar and restaurant just a short walk away from the beach. It has some of the best seafood in town accompanied with lovely sea views. Joatinga is inside a residential condominium but it is still open to non-residents and you may even spot the odd local celebrity there. To get there, you need to follow a forest trail that leads between a rocky outcrop, before it opens out onto the chalk-white shores of Joatinga. It’s a small yet striking beach with soft sand that’s so clean it squeaks (literally!) and framed by hills and trees. Considered as being one of the cleanest parts of Rio’s coastline, the bay here is great for swimming and the small waves that break on the shore are ideal for beginner surfers. 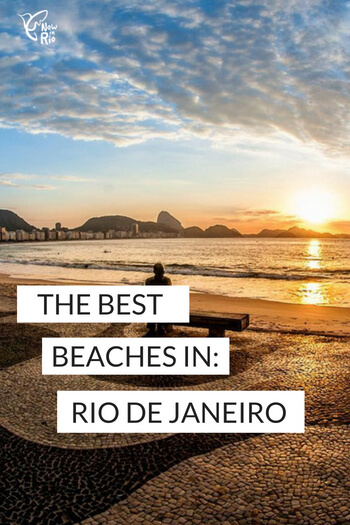 It is one of the most popular beaches in the west region of Rio so quite a few people go there on the weekends but it rarely gets crowded. I love how social it feels there with groups of friends sun-bathing and playing low music and families enjoying the sunny day together. To enjoy the day there, take plenty of water and food with you as there as it’s pretty scarce in terms of restaurants, kiosks, and bars. Praia Funda is probably one of my favourite beaches in Rio. It’s totally untouched by any type of development and when you are there, you feel totally disconnected from the city. This is definitely the kind of beach to take some time out and switch off from daily life. The small beach has white sand and is bordered by the Atlantic Forest to one side and the choppy sea to the other. The sea here is surprisingly cold, even in the summer so be prepared for a bracing dip! Take care swimming there though as the currents are strong. Praia Funda is only accessible by hiking which helps limit the number of people that go there. It is rare to find more than a handful of beach-goers there at any given time. Its total seclusion means taking your own food and water is a must as there isn’t anything to buy for kilometers around. Praia Vermelha is actually in the touristy south zone of Rio yet has managed to remain a well-kept secret. That’s probably because it is one of the city’s smallest beaches. Despite its size, it packs in a great mix of tropical beauty and fun things to do such as stand up paddling and kayaking. Praia Vermelha translates to ‘red beach’ in English which is from the deep-orange, reddish sand there. It lies in a cove at the foot of Morro da Urca and is right next to the cable car that takes you up to the Sugarloaf mountain. The beach is known for its calm waters which is great for those looking for a leisurely, relaxing swim without needing to worry about strong currents or waves. I love to spend the day at the Praia Vermelha, moving between sun-bathing and doing stand up paddling. To end the day, I like heading over to Bar e Restaurante Urca to grab a cold beer and some mini crab cakes and settle down on the wall next to the harbour to watch the sunset. Protected by a bank of dense vegetation and surrounded by forested peaks, the secluded Praia de Grumari beach offers a wild escape from city life. It is the perfect beach for those that are looking for both a beach that seems a little wild and untouched yet still has some basic amenities like simple places to eat and drink. There are a couple of restaurants there that serve fresh seafood and typical Brazilian snacks like açai and pastels and also cold beers, caipirinhas, and non-alcoholic drinks. The seating is outside so you can take a break from sunbathing to casually fuel up on the simple outdoor decking at the main kiosks. Because of the facilities at Grumari, it is a popular beach among families but also among groups of younger people, such as students and young professionals. It doesn’t get crowded but there are always a few groups of people there so you don’t feel totally cut off from the world. The sea can be quite unpredictable here – some days it’s great for swimming, others it’s better for surfing. Either way, there are simple outdoor showers there that are ideal for using to cool down. Now, that spring is finally coming, I can’t wait to think of beaches, seaside, and summer. Rio de Janiero has so many wonderful beaches. Praia Vermelha is my favorite one. I would really like to go there some day. Glad to hear that! I hope you come, I’m sure you will love it! We will be so happy to have you here! 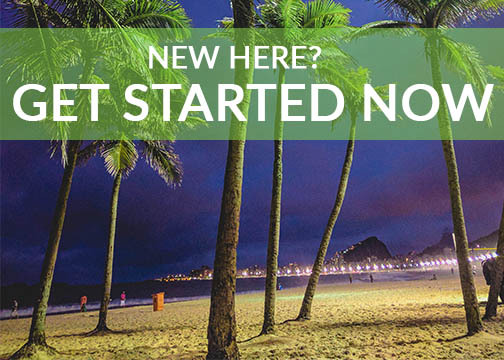 Wow, I only heard about Rio De Janeiro, but I didn’t know that it has so much to offer. I love the unspoiled beaches and looks so serene. I would love to traipse my feet here while listening to the waves kissing the coast. Thank you so much for sharing this with us. Love this list especially that you have secluded beaches on the wild side with lots of surrounding vegetation and mountain peaks. Sounds like most of these beaches are free which is also great for budget travelers. Your photos are making me want to go back to Rio! It is one of my favorite places and I have been twice, but not recently. It is wonderful that there are so many special hidden beaches in the city. I would like to go to these places instead of always visiting the tourist spots in Copacabana and Ipanema. I love finding out about quiter, lesser known beaches! These all look amazing and thanks for all the useful info.